This week a 2 year old girl from Dundonald in County Down, Northern Ireland is believed to be the first child in Britain to be given a prescription for medical cannabis. Jorja Emerson, who suffers from severe epilepsy and has up to 30 seizures a day has been prescribed the drug with the hope that it will reduce the affects and frequency of her attacks. Other children are currently receiving cannabis treatment in the Uk however since the drug has been rescheduled, Jorja is the first child to be prescribed by a doctor. This however has not been an easy process for Jorja’s parents. Although Medical cannabis has been legalised by the home secretary, strict NHS guidelines along with tight recommendations from the Royal College of Physicians and the British Paediatric Neuroligists Association, means that it is very difficult to secure prescriptions. NHS guidance says prescriptions should only be given when all other treatment options have been exhausted. Jorja was prescribed her medication at a private hospital in London and her father, Robin Emerson hopes her treatment will help pave the way for other children to gain access to the drug and enable clinicians to have confidence to prescribe. From the 1st of November doctors were able to prescribe cannabis products to patients in the Uk after new regulations were introduced through parliament relaxing rules around accessing medical cannabis. Several high profiles cases led to a shift in the government’s stance as well as the general publics perception of medical cannabis use. 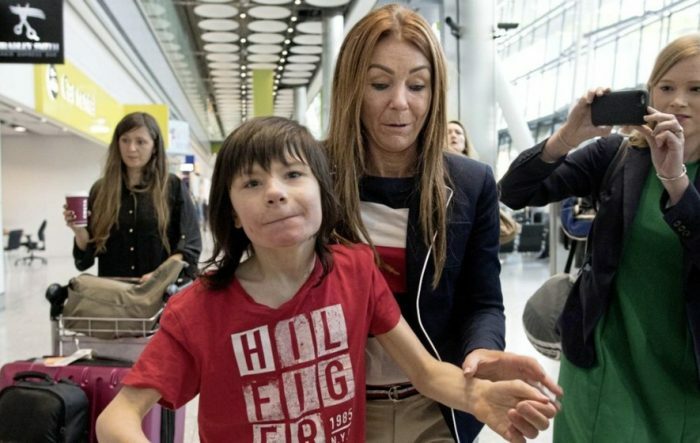 There was a public outcry over the cases of young epilepsy sufferers, Alfie Dingley and Billy Caldwell, who were being denied access to cannabis oil treatment. Both boys had seen their conditions dramatically improve after being prescribed cannabis oil overseas however this life changing medication wasn’t legal in the UK. Earlier in the year Alfie Dingleys parents and sister along with the help of actor Patrick Stewart, took their campaign for access to cannabis oil on the NHS to Downing street . This led to a specially commissioned review of medicinal cannabis whereby Dame Sally Davies, Chief medical advisor concluded there was evidence medicinal cannabis can have therapeutic benefits. A second review carried out by The advisory Council on the Misuse of Drugs, went on to add that doctors should be able to prescribe medicinal cannabis products providing they meet safety standards. So, although public perception of medical marijuana has certainly changed and the Government has made some concessions, it still seems to be very difficult for people to get access to the medicine they need. Hopefully UK politicians will get up to speed, sooner rather than later, and allow the UK to catch up with the rest of the world when it comes to cannabis legalisation.